The Norwegian concept of «realkompetanse» refers to all types of prior learning – formal, non-formal and informal. The importance of guaranteeing the right of the individual to such validation is reflected in key legislation and national strategies. At a strategic level, there has been a development towards policies aimed at broad, differentiated opportunities for competence development. In the Strategy for Lifelong Learning 2007 (Ministry of Education and Research), validation of informal and non-formal learning was one of the main priorities. The Government’s initiative on Lifelong Learning 2009 states that the system for validating prior learning must be promoted and strengthened. The Norwegian validation system is based on shared principles in all sectors; among others that the validation process should be voluntary and beneficial for the individual. The opportunities, rights and benefits related to the validation process are promoted by various stakeholders locally and nationally. 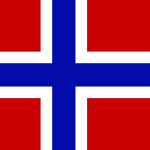 Skills Norway is one of the important national bodies in this work. In the Norwegian validation system, prior learning is validated against learning outcomes in curricula from each education sector. In tertiary vocational education and higher education prior learning is validated against learning outcomes in local curricula developed in each institution. The validation is performed locally in each institution. The Norwegian government funds VPL processes in Norway.